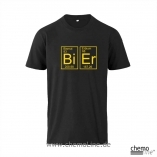 The chemical elements "Bi" + "Er" (bismuth and erbium) form the word "BiEr" (Beer). 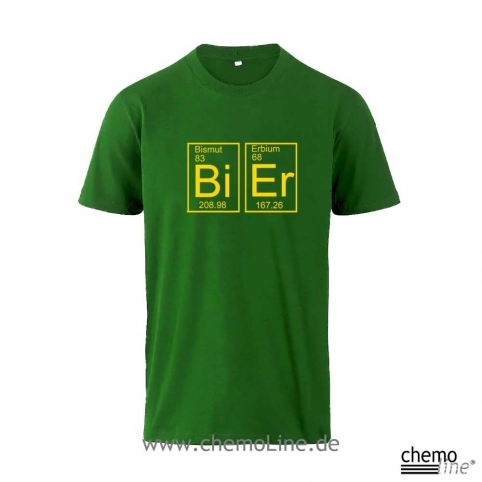 From 100% of Green standard cotton in the silk screen procedure prints. Machine Wash - Select "gentle or delicate cycle"
Iron inside out – by ironing the imprint regains fresh brilliancy each time!! 56-0160 Women T-Shirt "Caffeine Doping"